It’s workshop season here in Chrissy land! Just over a week ago I helped facilitate the Noble Man workshop, where we held the space for men to heal their relationships with women. And tonight, I’m headed on a Red-Eye flight to Florida because I’ll be facilitating another COR Woman workshop on the East Coast. I’m so excited for the sisterhood and healing that will emerge in this new state! These weekends are so powerful, and I want to tell you why. We bring ceremonial initiations back to the West. But wtf does that mean? Let me explain. Our Western culture is sadly missing the Rite of Passage ceremony process. When girls and boys go through puberty here in the West, there’s little to no acknowledgment of this rite of passage into adulthood. Without the safe space to ponder and reflect during this time, we either grow up way too fast and miss out on our innocence, or we remain children forever. Without a clear ritual marking the end of childhood and the beginning of adulthood, men and women have a difficult time maturing into their potential. That’s one of the reasons we bring “Initiation” into our COR workshops; we help women and men grow up. Initiations are really important; they mark the end of something, and the beginning of something new. So much intention goes into creating our Initiation day at COR so our participants can let go of a particular pain, fear, or struggle, and step into their new expression of being. We bring elements of ritual, witnessing, eldership, prayer, music, and Grace into the circle so men and women can have an embodied transformation where they shed the old, and step into the new. It’s a day to remember who you are, and forget who you’re not. This “rebirth” can go so deep that it lasts a lifetime. I wouldn’t be the leader that I am today had it not been for my own initiation 6 years ago. Over the years of working with women and men post Initiation day, we’ve discovered some “best practices” for keeping the transformation alive out in the world. If you haven’t done one of our workshops, don’t worry, these tips apply to you too. You can use these tips to remember who you really are. Each tip I have for you involves activating something very important, your True Self. Here’s how you can keep your True self alive after any big transformational experience. 1. Daily meditation or prayer practice. The ultimate container at our COR workshops is the holding we receive from Grace. That’s why we encourage our participants to commit to a daily meditation practice for the rest of their lives as a way to keep the portal to the Divine open. Without this daily commitment to interior silence and trusting the present moment, our survival strategies will come back and try and hijack us from our essential goodness and truth. Life is noisy, and meditation is an effective way of getting quiet enough to hear your True Self again. 2. Contribution. Your initiation isn’t complete until you share what you’ve learned and received with the world. Contribution is a one of the greatest ways to activate the healthy self. It gets us out of our own story, and into the what really matters. 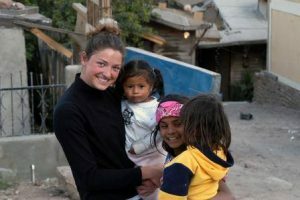 How can you share your gifts with the world? Who could you help? Where could you volunteer? Staffing one of our workshops and witnessing new brothers and sisters in their own initiations is a beautiful way to give back. We hear staffing is just as powerful, if not more powerful, than your own initiation. 3. Daily Movement. We spend a great deal of time connecting with our bodies at our workshops. During our Initiations in particular, we let our bodies do the talking. The healing lasts because we go straight into the nervous system for a lasting shift. When we disconnect from the body and live in our heads, we suffer. If you’ve been struggling lately, my invitation for you is to take care of your body and give it what it needs. Does your body need yoga, or something more physical like boxing? Your body might need a dance break, or a even a massage. 4. Community. It’s easy to forget who we are when we isolate, so connecting with your community is essential. Who are your biggest supporters and champions? Who was your buddy at your last COR workshop? Sometimes we need to pick up the 500 lb. phone and ask for support. Your vulnerability is the muscle to strengthen here. I’ve also discovered that inviting friends to participate in our COR workshops is a great way to keep our transformation alive. When we share this space with our community and loved ones, we can return to the real world on the same page. The bonding that happens at these workshops between friends and family is unreal. 5. One-on-One Support. Finding a therapist, coach, our counselor who sees the “real” you and holds a safe container for you heal is another important step in keeping your transformation alive. I have SO much support for every level of my being. From reiki masters, chiropractors, therapists, coaches, and healers- every layer of my human condition is supported week after week. Growing up isn’t easy, but it sure is fulfilling with the right support. If any of these tips struck a chord with you, you can schedule a FREE Discovery Session with me. Ready to finally experience your own initiation at one of our COR workshops? Ready to work one on one with me? P.S. Thank you for your outpouring of love regarding my Core Wound video that I shared with you a couple of weeks ago. Your support means the world to me, and I’m thrilled to hear that you are beginning to heal your own core wound thanks to my story. Ready to dig deep into your own Core Wound and transform it? Schedule your Discovery Call here and I’ll help you take the next step in your journey. Do you remember the first time you ever got hurt? Or maybe the most influential pain from your childhood, like a death in your family. Or a spanking. Or getting in trouble at school. Or your parents’ divorce. These wounds leave a mark on our being and overall understanding of the world. Those moments make us feel separate, alone, or different. In those moments of pain, something formed in your psyche called your “core wound.” It’s a belief or message that you internalized at a young age, which influences who you are and how you behave in the world. Without the proper awareness, this core wound could dictate the rest of your life. 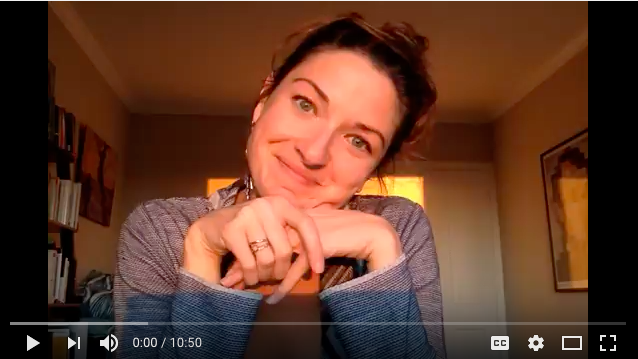 While I’ve been “working” on myself for over a decade in the world of transformation, therapy, and personal growth, I discovered my core wound for the first time THREE WEEKS ago, and I want to share it with you in video form. This video will tell you the story of how I realized my core wound, how I’m healing it, and why developing this kind of self awareness is essential for happiness and fulfillment. Click the image below to watch. Beware, it’s 10 minutes long, so pull up a cup of tea and enjoy getting into my vulnerable and messy world. Do you know your core wound? Let me know in the comments on my Facebook page! P.S. My private coaching and retreats help women bring more awareness and presence to their core wounds. While I don’t think our core wounds ever go away completely, when we bring enough love and awareness to them, they stop ruling our lives and we begin to make better choices and find more fulfillment and happiness. Want to see if my coaching and retreats are right for you? Email me at chrissy@chrissybradysmith.com with the subject of COACHING? and we’ll set up a call to see if I’m the right coach for you. Last week I facilitated my favorite workshop ever, COR Woman. That’s me down below on the right, grounding our staff women in prayer before welcoming 12 women into their initiation day. A day I’ll never forget for the rest of my life. When we get hurt we forget who we are. This weekend was a time to REMEMBER. This was a weekend of midwifing women back to life, remembering who they are, and forgetting who they’re not. But the other side is epic. Behind the scenes I caught myself in moments of so much joy, elation, and gratitude. I remember saying to the staff women, “Is this really our life?” Yes, it is. And I’m so thankful to have said YES to this path and followed it through ‘til the end, because trust me when I say this, I wanted to quit many, many times. Learning to facilitate in this way has been the toughest and most important training of my life. Learning how to lead my own circles, workshops and retreats feels like an extension of my heart and soul, and my life is fulfilled because of the skills I’ve learned along the way. So my message for you today is to NOT give up. The struggle is very much a part of the process to becoming a fully expressed feminine leader. Confession time. Over Valentine’s Day, I didn’t go on a romantic date with my boyfriend, I went on a delicious date with… God. Say what?! Yup. Ever since my silent retreat last month, I’ve been having a love affair with God. But what do I mean by God? I don’t consider God to be a big dogmatic man in the sky, I consider God to be an energy of Grace. A mysterious force that always has my back (and your back, too). Before this silent retreat, I had a really hard time trusting God, especially sitting in silent meditation. Silence scared me. I was afraid of what I would find in my psyche without any distraction getting in the way. So I would sit for 5-11 minutes, and judge all of my meditations as bad. I could never get out of the “mud” of the obsessive thoughts and anxieties. Stillness was impossible. It seemed as if my meditations only magnified my worries and insecurities. This silent retreat couldn’t have come at a better time. For 8 days, I got to face those demons, and learn in my bones (without any eye contact or technology) how to sit in meditation without all the suffering! I want to share my learnings with you, so you too can go on some delicious dates with God. This meditation practice is called Centering Prayer. This practice helps you discern thoughts and emotions as they arise before they reach the stage of attachment and compulsion (i.e. suffering). For this practice, choose a sacred word that reminds you of the presence of God, Love, or Grace. A word that helps you trust the present moment and anything that shows up. You’ll use this word whenever you notice yourself engaging with a thought and going down its rabbit hole. When you detach from the thoughts and emotions by returning to your sacred word, you strike at the root of your false system, your false self. What’s the false self? An illusion, a load of habitual thinking and emotional patterns that are stored in the brain and nervous system like programs in a computer. They tend to reactivate every time a particular life circumstance pushes the appropriate button. The button might be feeling competitive or jealous. Or feeling controlling or insecure. It could be doubting yourself or doubting the world. It could be feelings of mistrust, overwhelm, anxiety… You get the picture. Any feeling or impulse that takes you out of presence. Victim stuff, blame stuff, it’s all false! The truth of who you are is love and goodness. All else is false. This Centering Prayer practice isn’t an elimination of thoughts, but a detachment from thoughts. When I learned that distinction, I got so freed up. I was like, “Wait, my thoughts are okay? There’s nothing wrong with my thoughts? !” Right! Thoughts are an integral part of this meditation, you just notice them without attaching to them or reacting to them. When those difficult thoughts show up, that’s our subconscious coming up for purification and healing. These programs can’t transform and dismantle without our awareness of them. When they come to the light, that’s a good thing. This practice is a discipline designed to reduce the obstacles to the full trust in God.Imagine that. Step one: Commit to sitting for 20 minutes and set your timer. Close your eyes and settle in for about 15 seconds, and then introduce your sacred word “ever so gently” into your mind. This word represents an internal movement of trust into God. Step two: When you find yourself engaging in thoughts and going down the rabbit hole, return ever so gently to your sacred word. You’ll eventually find yourself in moments of rest, and thoughts from the subconscious will come up. Every time these thoughts, attachments, or pain points show up, feel them, and let them go by returning to your sacred word with your whole being. There’s no such thing as a good meditation or a bad meditation, you just allow, allow, allow. When thoughts or feelings come up that you really don’t want to see, consider this a big hug from God inviting you to see your illusions so they can be transformed. This is a way of God bringing your shadows into the light so you they don’t have to own you anymore. You can give them up by returning to your sacred word. My word, as you can probably guess, is Trust. When I suffer, it’s always because trust is missing. When I say the word, “trust” in my mind’s ear, that reminds my whole being to trust this moment, even the scary terrible feelings and demons that are showing up. I understand now that when those feelings and thoughts show up, it’s God chiseling at my false self, bringing these aspects of my psyche up into the light so I can let go, and transform. With this trust, I’m never alone. Step 3: Keep going until your timer goes off. Then sit for about a minute, just resting in the space that you cultivated and gently open your eyes. Notice how the energy shifts. 20-30 minutes is essential for this. It takes about 11-15 minutes to get through the mud. I’ve discovered that meditating longer is actually easier than meditating for less time. There’s a shift that happens after getting through the superficial levels of meditation in minutes 1-11, and the thoughts begin to disappear. Then it’s just me, silence, and God. Not all the time of course, but with practice, this return to interior silence gets easier and easier. Want to give this date with God a shot? Set your timer for 20 minutes, and just let go into this Divine Therapy. See what shows up, and just remember, there’s no such thing as a bad meditation. Just allow, and let this process take you deeper and deeper into your true self. Can’t wait to hear what opens up for you. How do you respond when your friend gets hit on more than you? Whether you’re in a relationship or single, this can be a triggering subject for many women. That’s why this newsletter describes what it takes to be an AMAZING Wing Woman (who gets more attractive by the minute). I was at a conference last week with 200 women entrepreneurs, and my mastermind partner is one of the sexiest, most beautiful and magnetic women on the planet. You’ve probably heard me talk about her before, her name is Lauren. Everywhere we go, she gets hit on. Like… a lot. Men flock to her. They are literally begging to make her happy. Now, I’m an attractive woman and a whole lot of fun (if I do say so myself) and I’ve received my fair share of attention from men over the years. But when I’m with Lauren it’s over. I don’t stand a chance. Granted, I’m in a relationship and not looking to be dating right now, but I still love to flirt ;). This past week whenever we went out to a meal, the beach, or even coffee, men would seek Lauren out and put their full attention on her and not pay any attention to me. As a friend of many, many magnetic women, and someone who’s been around the block in the world of dating, I’ve discovered there to be four reactions to this scenario. Meaning, the response to a friend getting blatantly hit on in front of you. 1. There’s the awkward friend. She goes silent, gets on her phone, doesn’t interact in any way and watches the flirtation from her corner, feeling frozen and stuck. She feels insecure and shrinks, making up a story about how unlovable/unattractive she is this, and this interaction proves it. 2. The aggressive friend. She puts the guy down for hitting on her friend, and might even say, “Dude, you need to go away, we’re not interested.” This is what I call “going in for the kill.” She makes fun of his efforts, and emasculates him. She also makes her friend wrong for receiving all of the attention, and tanks the whole interaction with her aggressive energy. This scenario isn’t fun. 3. The Wing Woman gone wrong. This is the friend who claims to be a wing woman, but isn’t at all, and tries to steal the man’s attention in order to “one up” her friend. This one feels pretty yucky, and no one stands a chance to have fun. These three scenarios don’t feel good for anyone! They bring the energy down. 4. I elevate. This is the kind of friend I am. I elevate the scenario, the flirtation, and the energy. I’ve been in a serious relationship for years, but when my friends get hit on, I get in there too, with encouragement, some silliness, and celebration of what’s going on in the moment. This past week I was a total YES to these men hitting on Lauren. I approved of their desires with my energy, words and playfulness. I made sure to keep the interactions fun, and focused my attention on Lauren to feel into what she desired in the moment. I made Lauren and her suitors look GOOD, I never brought them down. If her energy kept reaching for the flirtation, I supported that! I kept the conversations going and included myself to bring the interactions up to higher peaks of joy. That’s called elevation. I don’t feel jealous, instead I feel excited. The secret here is including myself in the scenario. You see, the feminine is a capital YES! She’s a YES to everything that’s happening in the moment and allows the energies around her to flow. When Lauren gets hit on (she should have a Reality TV show, you can’t make this stuff up) I celebrate her AND the brave men who beam her with attention. Together, we all have an amazing time. Women get more attractive every time we choose FUN over FEAR. Believe it or not, my boyfriend of 3 years thanks me for my flirtation, and the ways in which I elevate these scenarios because I bring all of that juicy energy home to our relationship when I return. Use your feminine power to elevate, sister, and your life will absolutely amaze you. I won’t be offering this type of coaching at this price point again in 2017, so reach out now if you want to claim this. Space is limited. On Monday I sent you a newsletter sharing all about a woman’s power and the hoops it has to go through in order to stay burning bright. I promised you a story of my own power going out when I was a little girl, so here it is. I have one wound from my childhood that still shows up in my life today. I was three years old playing make believe in the dining room. I accidentally broke a glass candle holder while having a tea party with my imaginary friends. The glass broke all over the floor, and with tears in my eyes and the fear of getting in trouble bubbling in my snot, I brought the broken pieces to my babysitter to apologize. Without going in too much detail, I’ll tell you that her response deeply scared and traumatized me. I was eventually sent to my room for being such a bad girl. I decided in that moment I could never, ever make a mistake again. My life depended on it. I had to be a “good girl” from that moment on. This belief played out for a couple of decades and I avoided making mistakes at all costs. I would never be a bad girl again. I didn’t take risks in school and lived in fear most of the time when it came to my education. Instead I got really good at sports because I couldn’t get in trouble on the field. As you can see, my true power started to fade as soon as I decided to be a good girl. I thought that in order to be powerful and good enough, that I had to be perfect, but get this. Trying to be perfect is a defense mechanism. It’s a strategy to avoid pain. Deciding to be a good girl was a way of protecting myself from feeling the pain that I didn’t know how to deal with when I was three years old. My nervous system and psyche were still developing, and they simply didn’t know how to handle the pain of a grown up hurting me and scaring me. Instead, I froze, and made the decision to never get close to that scenario again. I would stay far away from pain, and far away from mistakes. I chose to be a good girl out of fear, not empowerment. This “good girl” persona was a very limited version of Chrissy. The good girl wasn’t an expression of Chrissy’s true power. I slowly but surely forgot who I really was before the fear took over. As we all know, it’s impossible to go through life without making mistakes. I’ve had a long road with this one. Making mistakes today is still tough for me, and I still beat myself up at times with my words and energy, the same way my babysitter did with her actions. When did I get my true power back? When I reconnected with my three year old self who was hurting and calling out for attention. She needed love, patience, and someone to hold her. Through years of coaching, trauma work, and the many intensive workshops I’ve attended, I’m happy to say that my three year old has been tended to, loved, and affirmed. I had to let her cry, kick, and scream it out. I had to give that little girl permission to defend herself and take her power back when she didn’t have the voice or courage to do so in the moment. When I emotionally and somatically released that trauma from the past, a new confidence formed inside of myself. A new curiosity that was willing to make mistakes and learn from them. My life became brighter, more interesting, and vulnerable. I started living again and my power was remembered. I finally woke up. I felt empowered again. Here’s the truth about power. It never, ever goes out completely. There’s always a spark waiting for your attention. But how do we stoke that fire to a roaring flame again after so many years of hurt? We have to feel the pain with presence, love, and compassion. If you want a formula for remembering your power, I have one. You must first build an internal sanctuary of awareness. The quiet place you return to with the breath, meditation, and embodiment. Another word for this? Presence. The ability to witness your current state physically, emotionally, and mentally without any judgment. This sanctuary can hold your pain, and from this space of presence, you can feel your pain and let those primary emotions such as sadness, anger, or fear move. This could look like quietly crying, or speaking the words your little one couldn’t say in the moment, defending against the person who hurt you. It could look like a conscious temper tantrum. The invitation is to see where this presence takes you. Your true power is on the other side of this expressed movement. It’s on the other side of feeling your pain. The difference between Chrissy now and Chrissy 10 years ago is that Chrissy today has a powerful sense of awareness and compassion for that little girl who simply had an accident. I’ve been able to go back in time and give that three year old girl what she needed to feel safe and secure. When she’s scared and worried that she’ll get hurt and in trouble after making a mistake, I breathe her in, and let her know that she’s safe, and that I’m driving the car now. She can relax and let go. Thank you dear ones, for hearing my story, and holding it with so much love. P.S. If this newsletter struck a chord with you and you long to do some deeper work to remember your true power, hop on the phone with me. Women leaders must dig deep in order to express their gifts in the world. Schedule your discovery call with me find out how to transform your own pain into your purpose. On the call I’ll give you a taste of what coaching with me feels like. 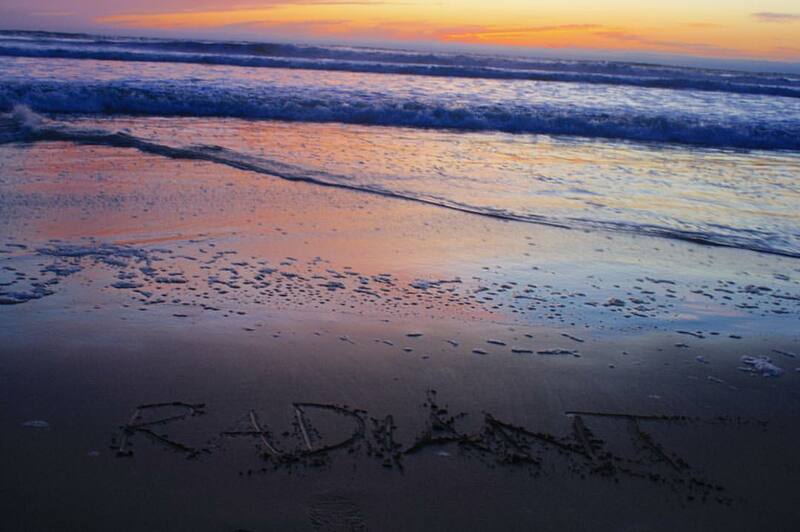 I went to the ocean last night and got a message from Radiance Herself. Radiance is an inside job. She doesn’t require makeup, a promotion, a relationship, or a new house. 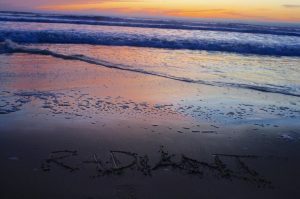 Radiance asks you to dig deep into the trenches of your pain. She asks you to face your fears head on. She invites you to dance with the waves and crashes of heartache so you can be taken by a force greater than your logical mind. She doesn’t want you to stay safe. No, no, no. She wants to wreck you. Radiance asks us to desire. To desire so fiercely that you fall flat on your face. She’s asks you to risk embarrassment and rejection, heartbreak and jealousy, shame and criticism. You see, a radiant woman has lived. She’s lost. But through it all she has loved. Radiance reminds us that we can’t open without breaking. We can’t love without hating. We can’t be brave without fearing. If you close your eyes and listen, you’ll hear Radiance’s invitation for you today. Where must you go? What must you face? When you answer Her call, please promise her something. That you’ll be patient and gentle with yourself. But please, for the sake of Radiance. Keep shining. Keep glowing. That’s how we see you and that’s how the world keeps spinning. We need your heat. We need your glow. Onward and upward, yes, but first, you gotta go down. P.S. If you feel called to spread her Radiance, please share this message. It’s time.